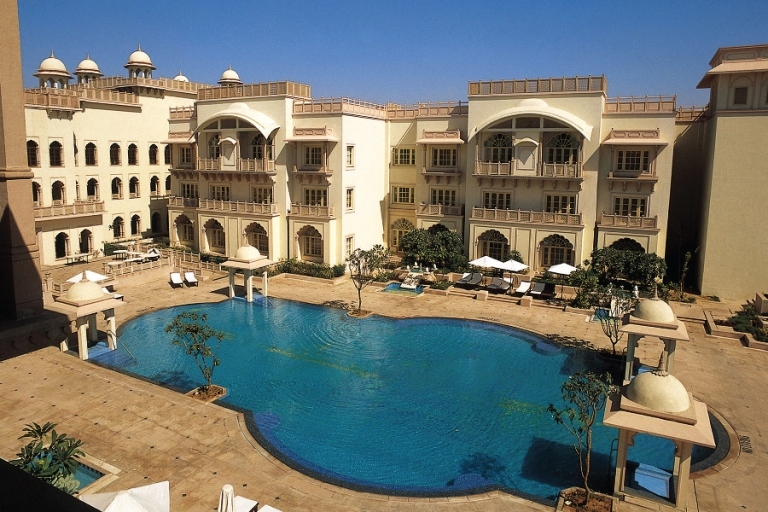 You have decided upon the royal wedding in Rajasthan, but your head is still whirling about which city in Rajasthan. Yes Jaipur is a heritage haven and logistically most viable city in the state but it has become a tad too touristy. 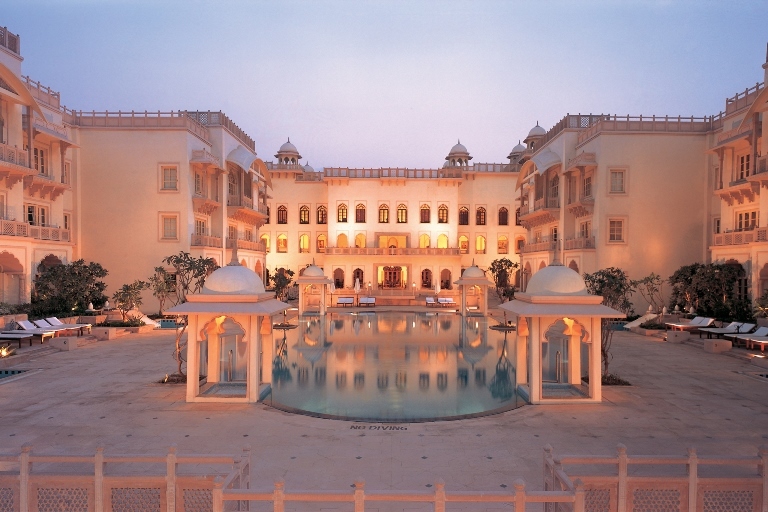 As for Udaipur, it is admittedly one of our favourite wedding destinations in India and the city of lakes has just about every element to make that dream of a princely wedding with the panoramic view come about true. 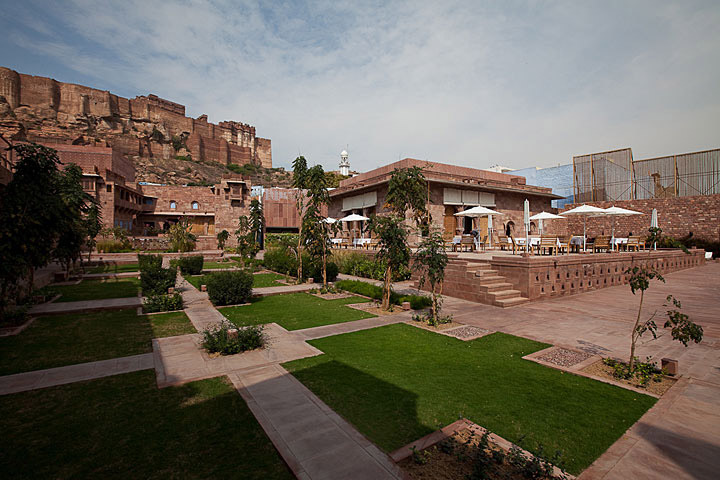 However, if you are the ones who would like to venture out on the lesser marketed trails, we would like to turn your attention to the Sun City Jodhpur. 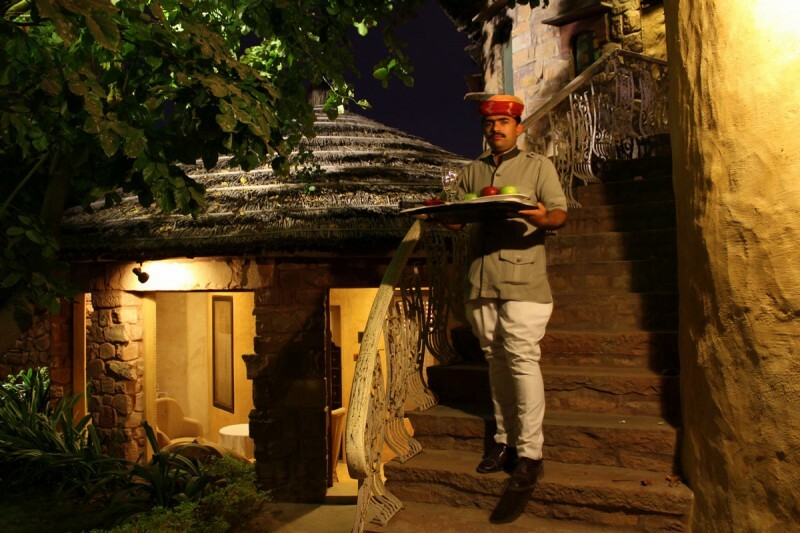 We urge you to explore Jodhpur, popular yet not that poplar a wedding destination as its sisterly states (Jaipur and Udaipur), which is actually a good thing! To start with there are so many reasons to get married here, but just to give you a few from our fingertips. 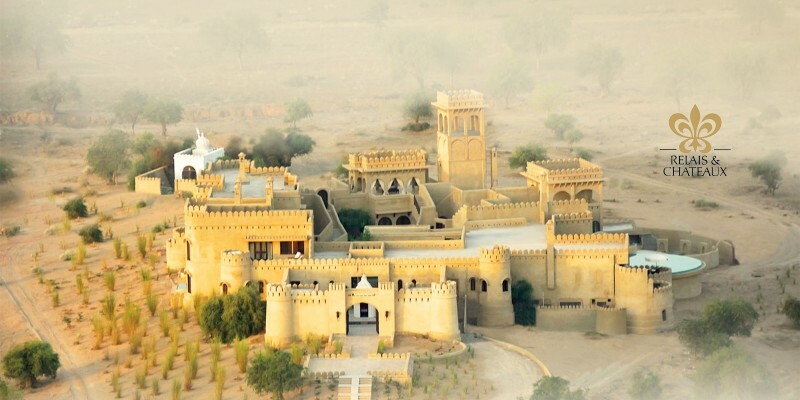 The mighty Meherangarh Fort guards the city from atop the hill and is also a museum with treasures like armours, swords, palanquins, from the days of yore. 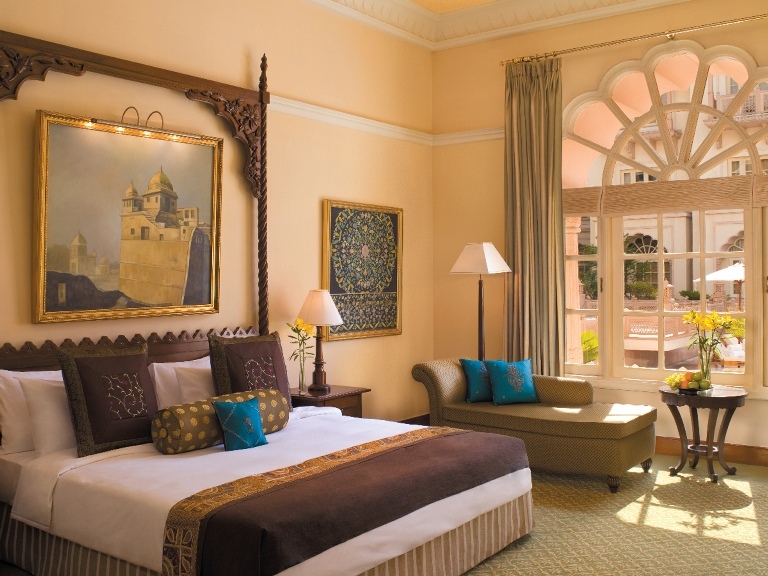 The Umaid Bhawan, a hotel property and museum that is superlative of luxury and opulence. Or walk through its colourful bazaars and you will be tempted to fill up your bag with the handicrafts galore. And then there’s ruins of the ancient city Osian, that will dazzle you with the architectural brilliance of its temples. 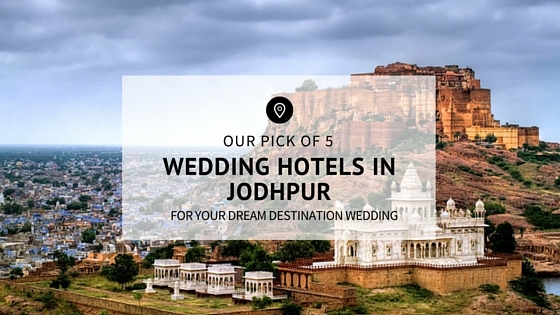 We reckon we have now got you at the brink of planning your wedding at Jodhpur, so let’s take you through our choice of hotels to plan your dream destination wedding in Jodhpur. 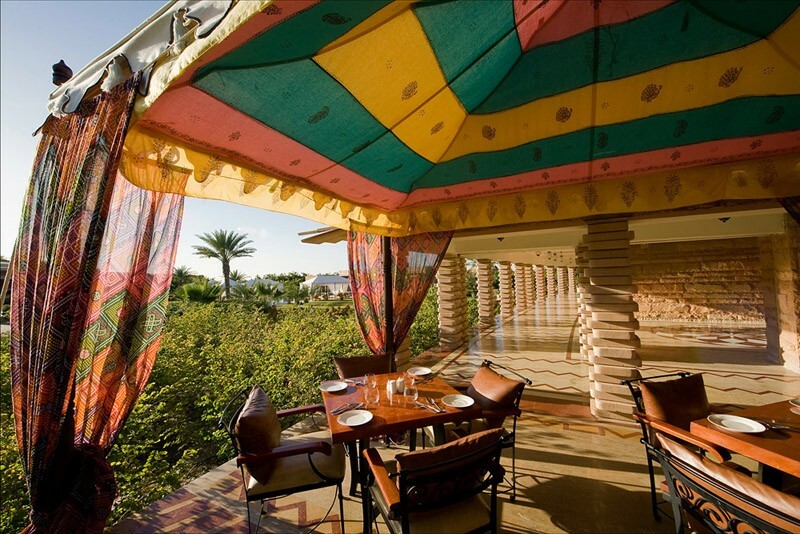 The Sun fortress is an ode to the desert experience. Located in the middle of golden nowhere, the property has nine luxurious suites and would be a perfect venue for an intimate wedding. 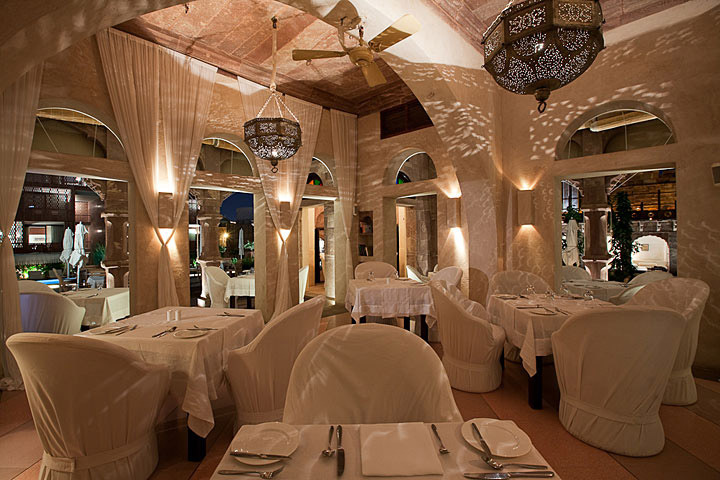 Its private terraces to sleep under the stars, plunge pools, ornate tents and courtyards are a romantic desert escapade. 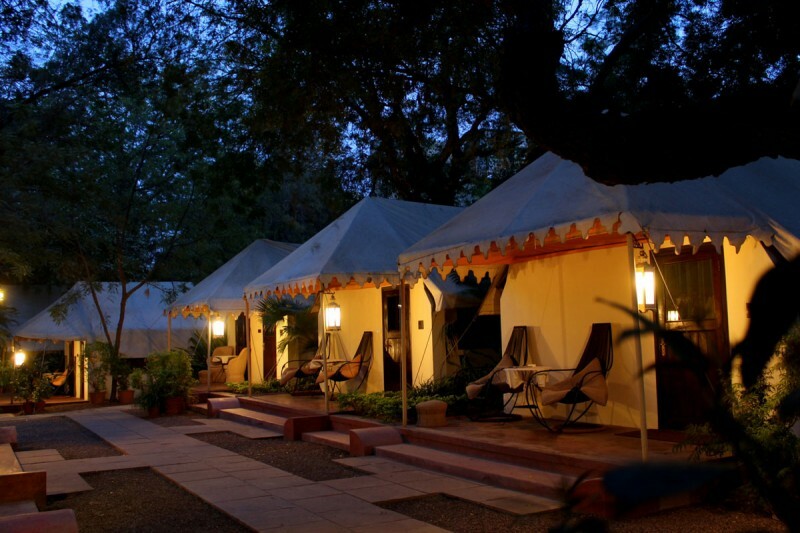 And then there are activities like village safaris, royal picnics, bird watching that you and your guests can indulge in. Wedding against the backdrop of a castle made out of wattle, mud and wood would be lusciously rustic. 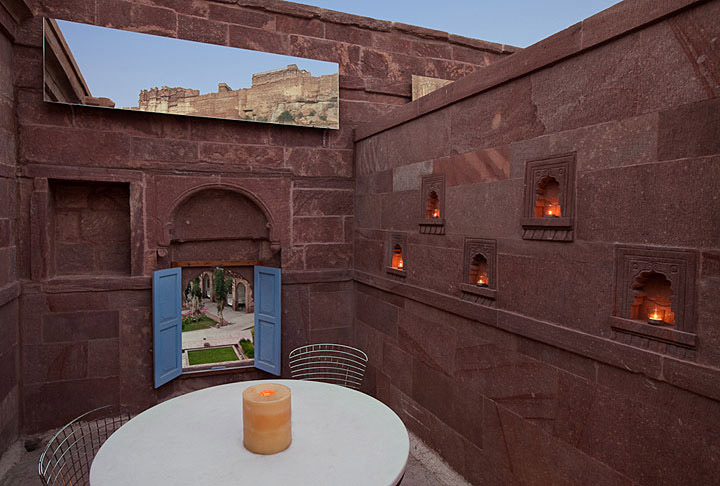 The eclectic cocktail of contemporary interiors juxtaposed against the contrasting exteriors of Jodhpur’s pink sandstone, black terrazzo and pops of the hues of blue, it is located at the base of the Meherangarh fort. 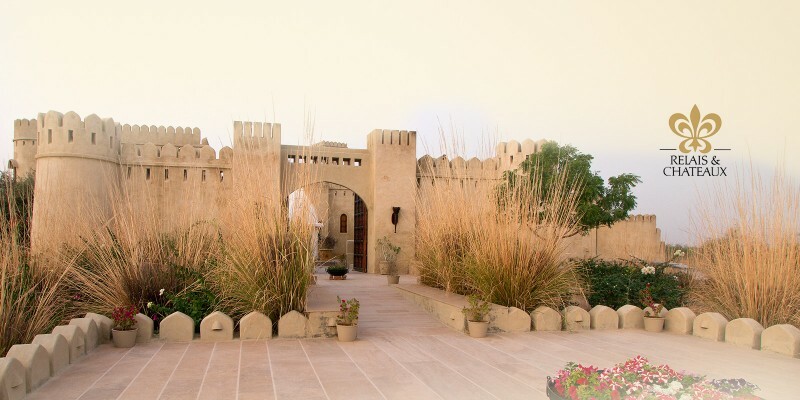 If you are the ones that would prefer a chic and hip wedding cloaked in the backdrop of traditional haveli settings, then your search ends at the luxury boutique resort RAAS. 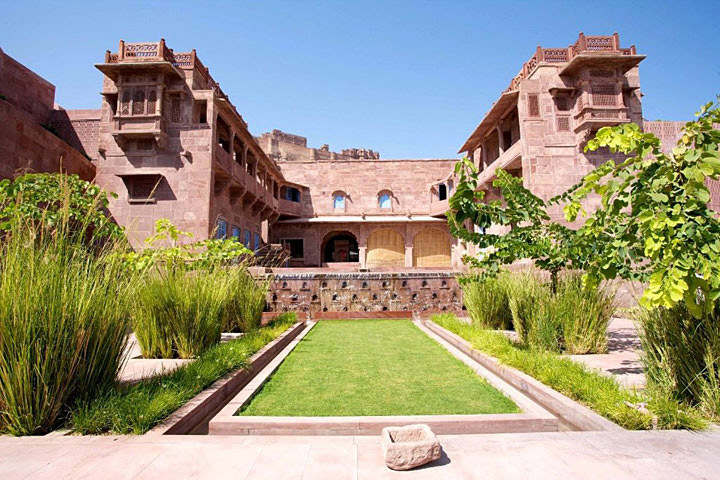 Constructed with pink and red sandstone in Marwari style architecture, the elegant property is a fabulous choice for your wedding, soaked in the vibrant and earthy spirit of Jodhpur. 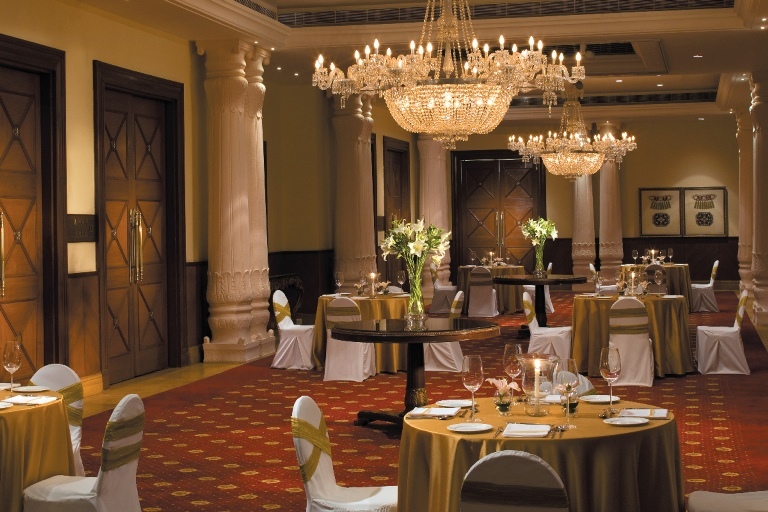 We could organise the functions at the banquet Meherangarh hall or the palatial courtyards. 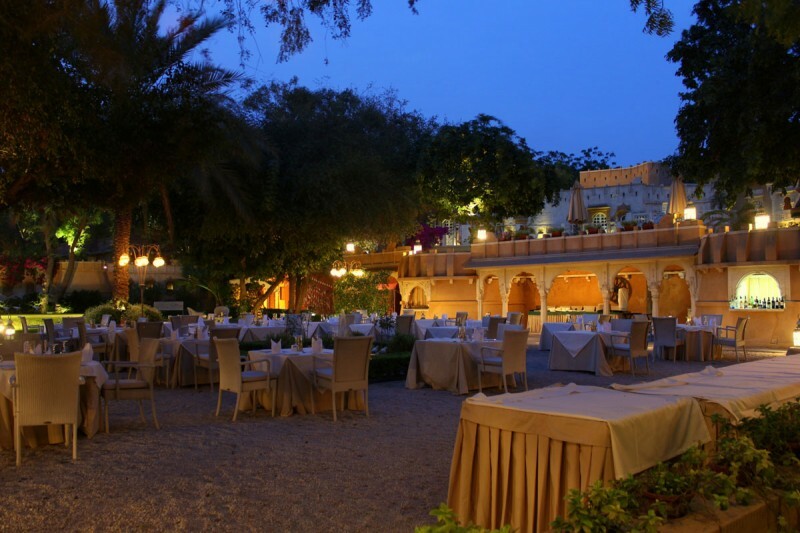 For the main event its Meherangarh terrace, with old Rajasthani architecture would make for a charming venue. The performances by folk dancers would sprinkle a local flavour to your festivities. 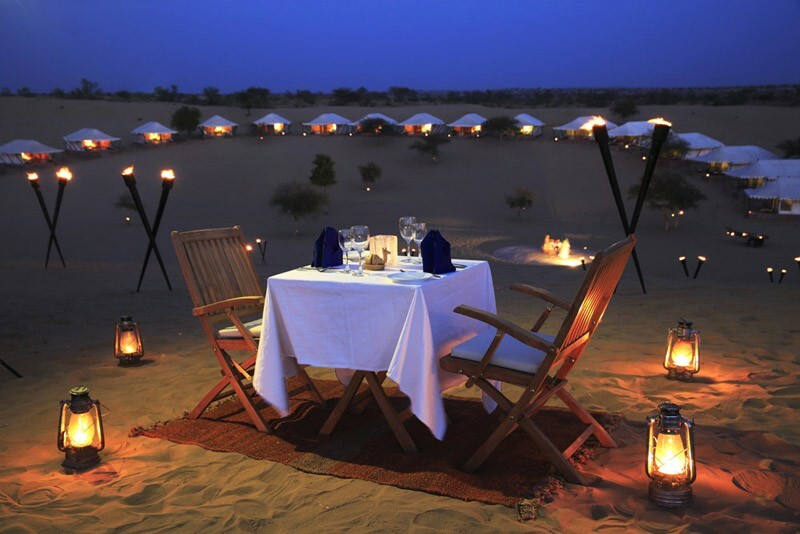 Pamper your guests with the quintessential desert activities like camel rides and jeep drives across the sands, barbeque dinner, sunset over the desert, folk music and dance, and have an incredibly beautiful and memorable wedding. 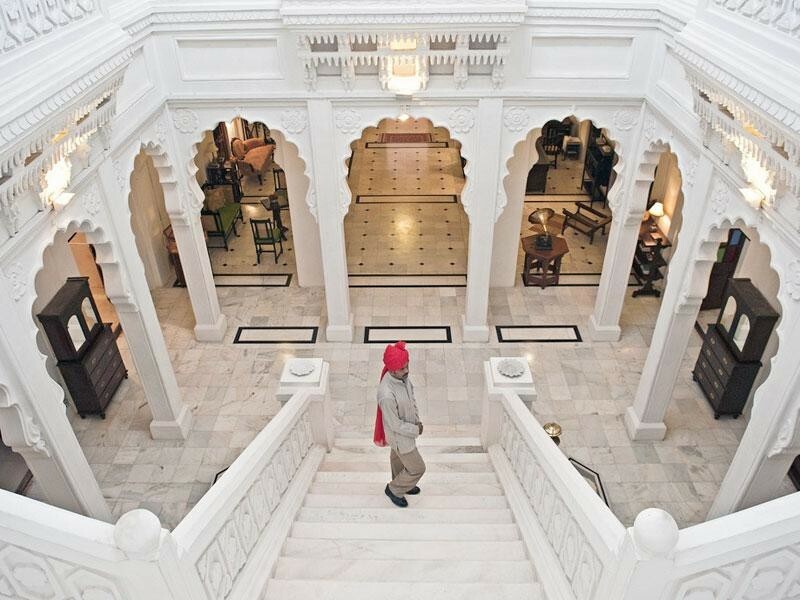 Earlier a royal house, now converted into a heritage hotel, Ajit Bhawan , is a sweet reminder of Rajput era. 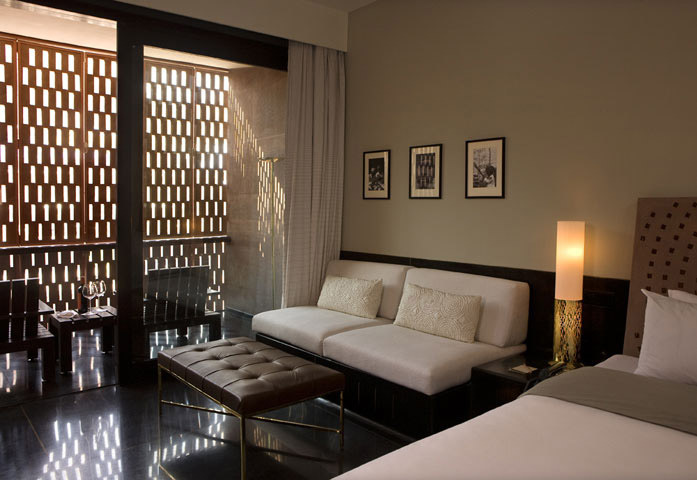 The subtle and neutral hues of the building have a soothing effect about it. 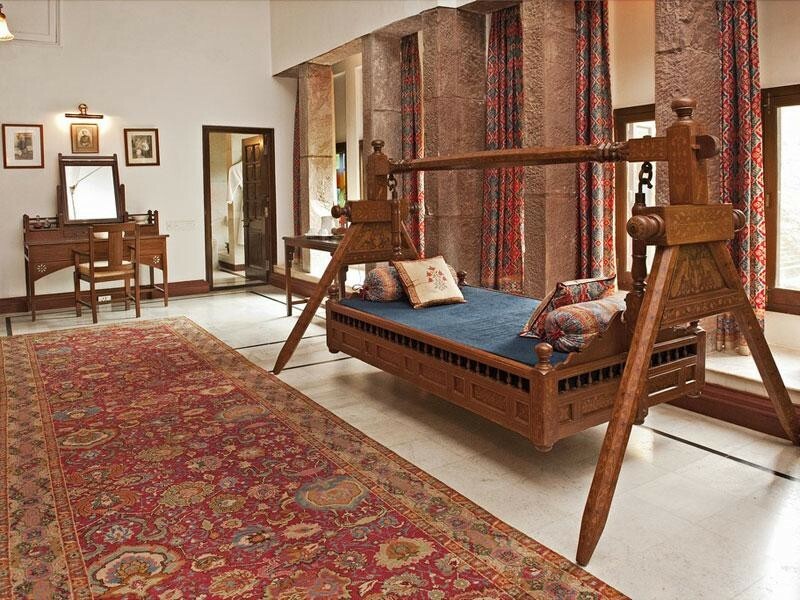 The signature touch of the celebrated designer Ragavendra Rathore is a reason this property is a design symphony with antiques and photographs from the family archives. 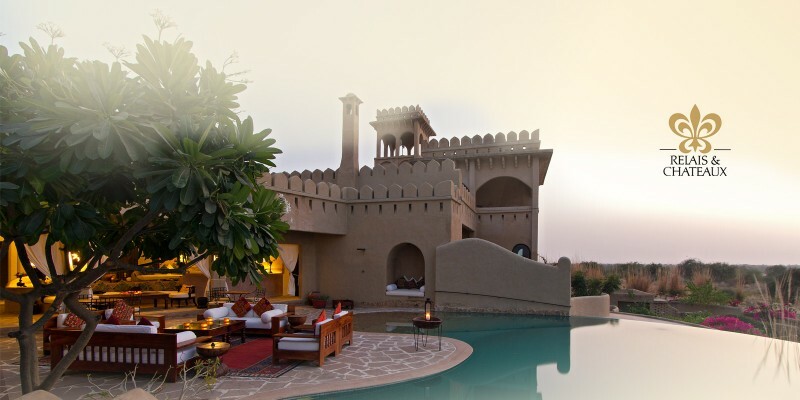 A wedding in its sprawling lawns with the view of the Meherangarh fort of this property would be lyrical. 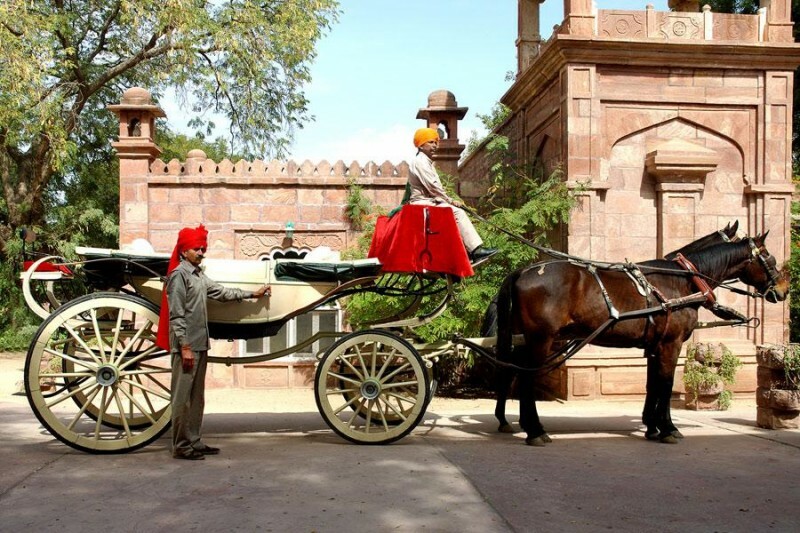 You and your guests could also explore princely activities like royal dining, driving around the city in a vintage car, desert safari or spa. 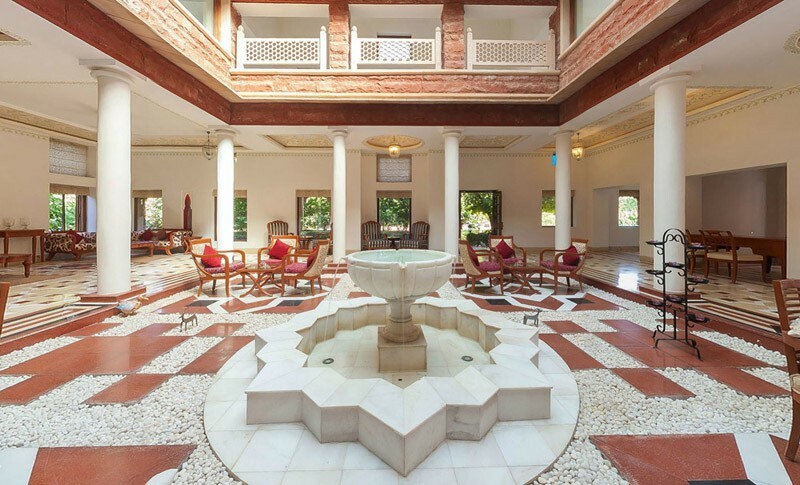 And if you have a bigger guest list, arrangements could be made at Ranbanka, another charming heritage property in the vicinity. 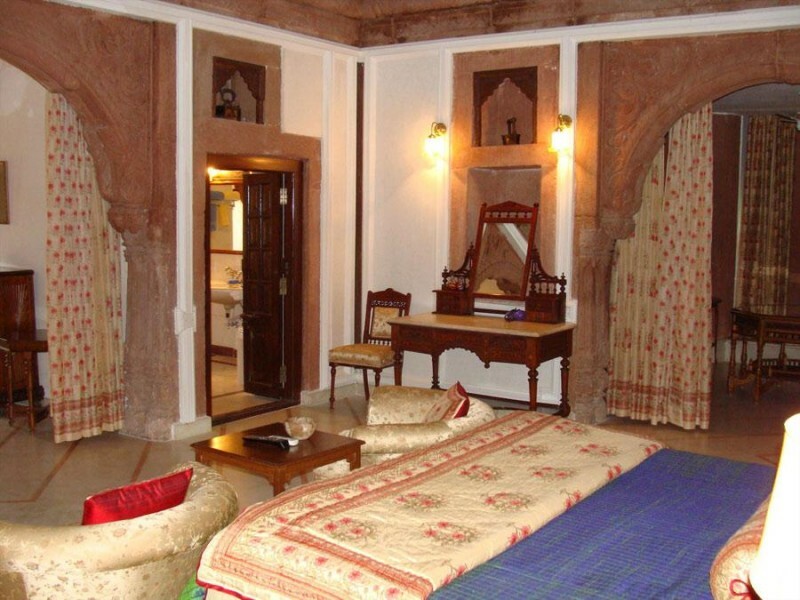 A former royal summer palace constructed in the signature Rajasthan red sandstone overlooking the artificially created Balsamand Lake is a rather enchanting property. The staggering lawns and terraces surrounding it are a great spot to plan a Sangeet or engagement ceremony and the sounds of traditional music filling the air. Wedding here would have a quaint character to it; see if that’s like you. Located at the outskirts, away from the bustle of the city, it has two wings, one near the Lake and other facing the garden. A day for you and your wedding guests here could be something like breakfast overlooking the serene lake, a ride in the horse drawn Victorian carriage, a massage in spa tent, and a candle lit dinner at their al fresco restaurant. It seems like the noble intention of this resort was to celebrate and embrace the beauty and grace of the golden shimmering desert. 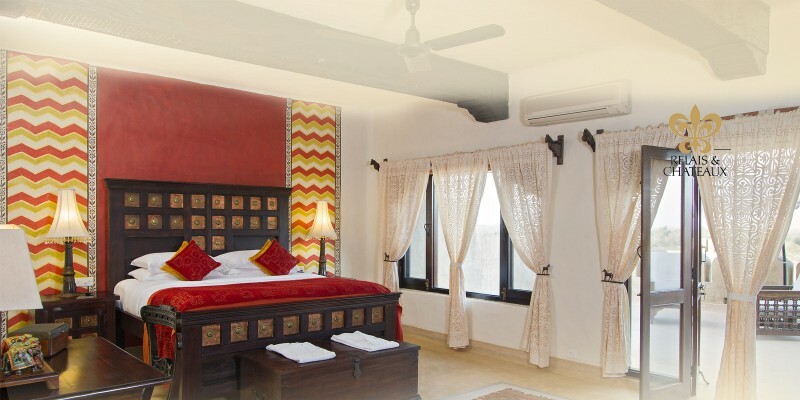 Set in the middle of the vast sands, the luxurious property has a tranquilizing aura to it. 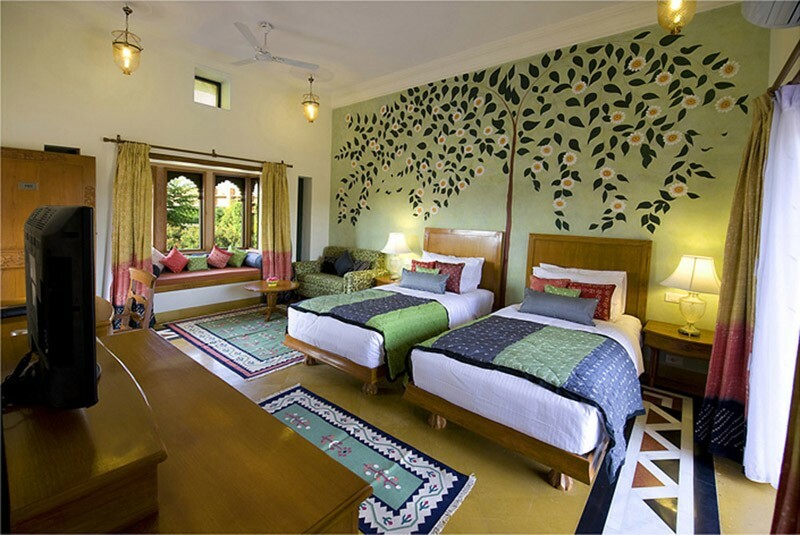 The rooms and suites are done in vibrant hues while their luxury tents are a sight to behold. The wedding ceremonies could be organized at its gardens or poolside or banquet hall. 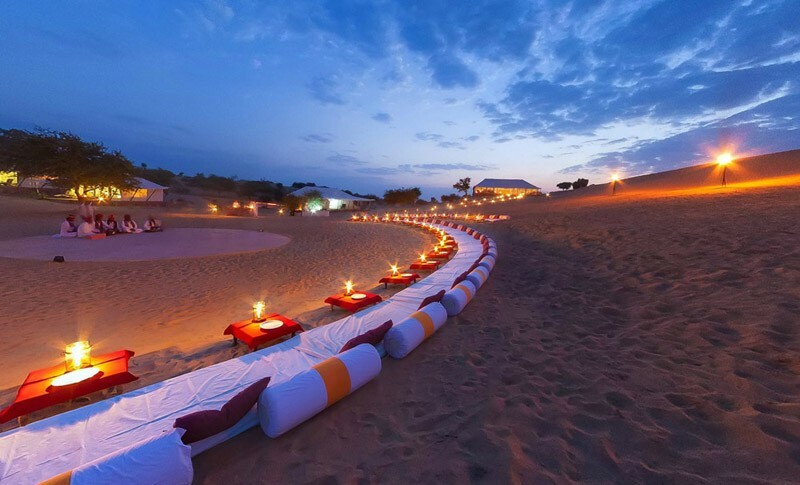 An ideal evening at Samsara would something like, dinner under the stars, on the dunes set amongst hundreds of flickering lanterns, accompanied by the narratives of folk musicians and dancers. Your wedding here with your loved ones is assured to be another level of special. 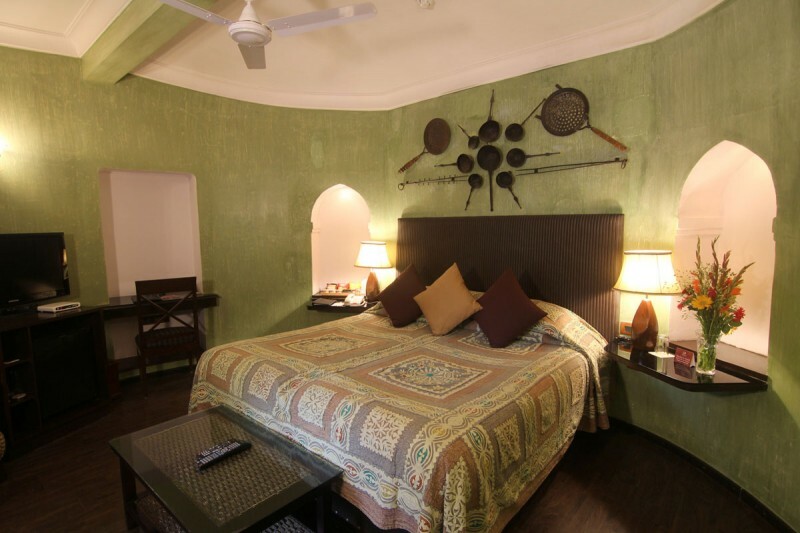 The Sun city, the blue city, the walled city, the desert city, will mesmerize you leaving you covet for more. A Destination Wedding here is gotta be memorable. And we would love to be a part of this memorable wedding, will be waiting for your call or email.